CLAYTON – The New Mexico Department of Game and Fish is seeking public comment on the draft Environmental Assessment (EA) for the construction of the Stephen M. Bush Memorial Shooting Range in Clayton. The EA analyzes potential effects on physical, biological, and cultural resources and socioeconomic conditions that may result from the implementation of the project. The EA also incorporates other federal, state, and local environmental policies and regulations and is prepared in accordance with the U.S. Fish and Wildlife Service National Environmental Policy Act Handbook. The proposed range would include; a 50-yard pistol range, 50-yard small bore rifle range, 200-yard rifle range, a 90-yard archery range and a multipurpose shotgun field on a 161.5-acre parcel owned by the department. If approved, the USFWS Wildlife Restoration Grant Program will provide much of the funding for this project. The range will serve as a public shooting range and will also provide hunter education program opportunities. The parcel is located in Union County near the intersection of NM 370 and US 87 outside of Clayton and comprises the north half of the northeast quarter of Section 27 and the north half of the northwest quarter of Section 26 Township 26 North, Range 35 East, Sections 26 and 27, New Mexico. Other planned infrastructure would include the construction of a 0.85-mile graded and graveled access road with a gate, 75 gravel parking stalls, shade structures for firing lanes, earthen impact berms and sidewalls for the pistol and rifle ranges and wooden or brick noise shields behind the firing lanes. The draft EA can be found on the department website, www.wildlife.state.nm.us/public-comment. Comments can be sent to DGF-Shootingranges@state.nm.us and must be received by July 20. 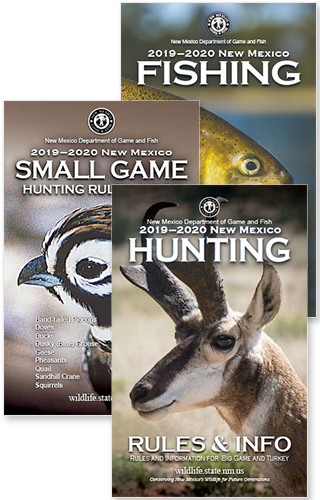 Printed copies of the draft EA can be obtained by writing the New Mexico Department of Game and Fish, One Wildlife Way, Santa Fe, NM 87507 to the attention of Jessica Fisher, Shooting Program Coordinator. For more information, please call (505) 476-8100.